The airport hotel that the government of St. Vincent and the Grenadines will construct at Diamond, near the Argyle International Airport, in eastern St. Vincent, will be a Holiday Inn Express and Suites. “And that design is also complete and the hotel at Diamond, I can say, will look like this,” Minister of Finance Camillo Gonsalves said on Tuesday as he held up a photograph of the concept. “And that is 93 rooms, it is about four storeys high and will have a small conference area, a pool and some suites throughout the building,” he said. “And those of you who have stayed in a Holiday Inn Express and Suites before — there is one in Trinidad and Tobago, there is one in Jamaica — will have some knowledge of the type of service that is provided there. He said that because Holiday Inn is very standardised in their designs, his government anticipates that construction of the Holiday Express and Suites will begin prior to the construction of the 350-room hotel that the government is also building at Mt. Wynne. “If you go to one in New Jersey, and if you go to one in Miami and if you go to one in Jamaica, if you go to one in St. Vincent and the Grenadines, it will be very, very similar because that is how they achieve their own economies and profits, is to standardise the design,” he said of the Holiday Inn Express and Suites. He said there would be some small variations in the Vincentian model. Gonsalves said that adding 350 rooms to the hotel stock on mainland St. Vincent “is transformative”. “But it is not just the 350 rooms that the government is adding. 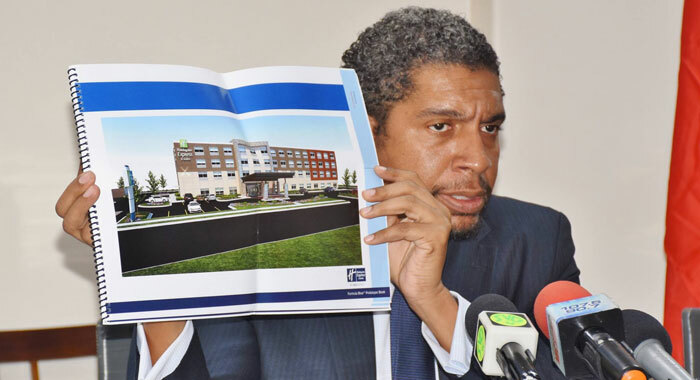 You have to remember that the Black Sands hotel at neighbouring Peter’s Hope is going to add 400 rooms,” he said of the hotel on which Canadian investors broke ground more than two years ago. The developers are projecting to complete the construction of the 40 villas with five rooms each by the third-quarter of 2019, subject to weather and Physical Planning Department approvals. “So, already, you are up to 750 hotel rooms under construction on mainland St. Vincent,” Gonsalves said. He said that existing hoteliers are adding rooms incrementally, adding that Beachcombers is going up another floor and adding more rooms. It’s essential that we conduct pproper due deligence on these developers to avoid another Haliquin PR disaster. We must also manage the hotel development in a focus way that would create the best experience for the tourist and job opportunities for our people. We must consider amoung other things, security, access to health care, transportation, and banking facilities. In addition, we must look at the entire visitor experience such as access to the Grenadines, water sports, beaches, shopping, nightlife, eco tourism sites and other outdoor activities. An airport hotel is not a priority at this stage. Government should focus its energy on trying to centralize the hotel development on mainland St. Vincent at this stage with further expansion elsewhere. Arnos Vale to CSY should be air marked for large scale hotel development. If a developer wants to build elsewhere that’s his choice. The strategy behind this is to anable the tourist to have satisfying experience so she can tell her friend and her friend can tell another friend. Once we have become a well sort after destination we can expand in the other areas. Tourist like to stay in areas where everything is accessible. There are some however who like peace and quiet and prefer the remote locations like Mount Twyne and Peters Hope. One have think about the capitalizing on the various conferences, international cricket matches, meetings and festivals that we host each year. As such most tourist prefer to close to the action, shopping, food scene and access to other activities. We should not build a hotel for the sake of having it but we must be strategic in our thoughts. Both this Finance Minister and Cecil McKie, the Minister of Tourism, should be asked why no international hotel/resort companies with a brand names were willing to finance, build, and manage the hotels the government is planning to build and own. The obvious answer, given that many such companies visited the mainland over the past few years at the invitation of the government to assess the viability of our hotel/tourism sector, is that none of them believed that they could make a reasonable proft by investing millions on the mainland. When the knowledgeable and experienced private sector says no, governments should take heed. Recklessly jumping into the risky and seasonal hotel business using borrrowed public money is a desperate move by a government desperate to maintain power rather than concerned with building up the economy. An oblong box for a design? Surely they are coming to our country to soak the tourist so we should be calling the shots, na so? From the photo the place looks like an ugly soviet-era apartment block that had portions of it added at later dates. Hotels are supposed to be attractive so that when tourist take photos of it and show people back home, others may say “Wow! and also want to come. Instead they may think, “you must be glad to get home after living in an ugly place like that”. I have been to Holiday Inn hotels and Camillo is wrong, they do not look like that everywhere. Again the “big-shots” are making excuses for thier mediocracy in order to push expensive crap onto the Vincentian people. This hotel project may well help further the decline in room occupancy for the family owned hotels [located on the only natural white sand beach on Saint Vincent island]. With an average current occupancy of around 36% the new Argyle airport has done little to expand those numbers. 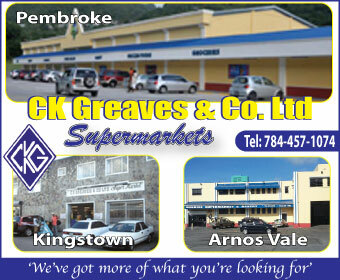 Many who arrive in SVG are Vincentians living abroad who stay with family and not at hotels. Saint Vincent is basically a black sand island and is not a tourist led industry island. Most experiencing black sand only visit once there is little or no repeat visits. New hotels built by the government are built by government because overseas hotel groups will not invest in the capital cost of such hotels because of the unviability of such projects. NAME SOMETHING WE ALL CAN CONTRIBUTE TO OUR COUNTRY TO MAKE IT BETTER FOR OUR CHILDREN ……REMEMBER WHAT JOHN F. KENNEDY SAID …..
Is this part of our commitment to ALBA, like our commitment to support Venezuela militarily which is another ALBA agreement. Holiday Inn is operated as a Franchise. We have been down this road already, the Minister needs to come to the Vincentian public and say who is going to foot the building. Go on Holiday Inn website and see how much it costs for a franchise. Please fix up the hospital first!